(Stoke-upon-Trent, co. Stafford). Motto—Pro Deo et patria. Vert three garbs or, within two bars erm. betw. two heraldic tigers pass, one in chief and another in base of the second. Crest—Upon a mount vert an heraldic tiger as in the arms, the dexter paw resting on a garb erect ppr. 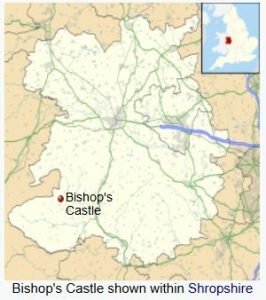 This is a locational last name meaning “of Mindtown” a parish a few miles from Bishop’s Castle in county Salop, and also small locales in Northumberland. Another other states it derives from the village of Minton in county Shropshire. The village name derives from the Welsh word mynedd (mountain) and the Old English or Anglo-Saxon word tun (settlement), and hence the name literally means the mountain town. The Domesday Book of 1086 AD, a survey of Wales and England ordered by William the Conqueror, contains the spelling of this name as Munetune. A second origin theory is the name derives from the Welsh weord mynech+tun, meaning the monk’s farm, given to a person who lived on or near such a farm. Yet another author believes it derives from the Old English word mynet, meaning coinage. It could also derive from the old Anglo-Saxon personal (first) name Minna. Common spelling variants or names with similar etymologies include Minterne, Mindton, Mindtown, Mintern, and Mintun. A similar foreign name is Minten (Flemish). The last name Minton ranks 2,426th in popularity in terms in the United Status as of the 2000 Census. The name ranks particularly high in the following five states: Kentucky, Arkansas, North Carolina, Tennessee, and Indiana. The surname Minton frequency/commonness ranks as follows in the British Isles: England (4,965th), Scotland (7,449th), Wales (2,076th), and Ireland (5,450th). In England, it ranks highest in Shropshire and Herefordshire. In Scotland, it ranks highest in Aberdeenshire. In Wales, it ranks highest in Radnorshire. In Ireland, the Minton last name it ranks highest in Galway. The name is also present throughout the remainder English speaking world: Canada (27,448th), New Zealand (5,908th), Australia (6,861st), and South Africa (35,546th). The 1890 book Homes of Family Names by H.B. Guppy, states the following in regard to this surname: “The Mintons and the Munslows take their names from parishes in the county”. The earliest known bearer of this surname was Jordan de Minton in the Pipe Rolls of Northumberland in 1169 AD. A one Richard de Minton was listed in the Assize Rolls of Shropshire in 1221 AD. The Hundred Rolls of 1273 AD, a census of Wales and England, known in Latin as Rotuli Hundredorum lists four bearers of this surname: Peter de Mineton in Shropshire. Jordan de Minton in county Northumberland (in 1169 AD?) Peter de Mineton in counties Salop and Stafford is documented in the Testa de Neville, sive Liber Feodorum during the era of King Henry III and Edward I of England. Early marriages involving this surname include Samuel Minton to Ann Grimsley at St. George’s Chapel, Mayfield in 1744 and Francis Minton to Lucy Coleman at St. George’s Hanover Square in 1796. A one Thomas Minton was born in Suffolk, Virginia in 1675. He had a son named Benjamin. This Benjamin Minton was born in Virginia in 1711 and he married Martha Braswell. They had a son together named John. John was born in 1740 and he had a son named Philip. 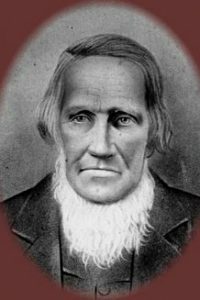 Phillip Minton was born in Virginia in 1765 and he married Lavina Watkins with whom he had the following issue: Mary (Hodge), Hannah, Richard, and Phillip Jr. His son Richard was born in 1790 and he married Elizabeth Robinson and he had a son with her named Mitchell. Mitchell Minton was born in 1840 and he married Rachel Keck and had the following issue with her: Levi, Hattie (Cole), Paris, Myrtie, and David. His son David was born in 1902 and died in 1963 in Tennessee. 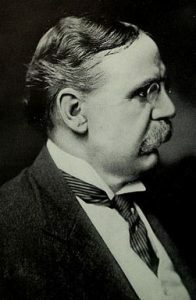 Michael L. Minton was born in Ireland in 1858. He married Catherine Shields and had the following issue with her: John James, William Lawrence, Rose C., and Mary. Early settlers in colonial America bearing this name include David Minton (Virginia 1637), Phillip Minton (Virginia 1657), Richard Minton (Maryland 1661), Randolph Minton (1701), Henry Minton (Virginia 1705), and Andrew Minton (Boston 1766). In Australia, one of the earliest settlers bearing this last name was Charles Minton, a convict from Warwick, England who arrived in Van Diemen’s Land (Tasmania) aboard the Arab in 1822. I researched the following three resources and did not find any coats of arms for Grey: Bolton’s American Armory, Matthew’s American Armoury and Bluebook, and Crozier’s General Armory. The Minton family motto is Pro Deo et patria, meaning “For God and country”. 1) Minton of Stoke, county Stafford, 1829-30. There are hundreds of notable people with the Minton surname. This page will mention a handful. Famous people with this last name include: 1) Anna Minton (1970) who is a British writer, academic, and journalist who has won several national journalism awards and was educated at Queen’s College Oxford, 2) Henry Collin Minton (1855-1924) who was the chairman of the Systematic Theology in the San Francisco Seminary born in Prosperity, PA, 3) Sherman Minton (1890-1965) who was a Senator from Indiana and Associated Justice of the Supreme Court nominated by President Harry Truman, 4) Thomas Minton (1765-1836) who was an Englisher potter who started a major ceramic manufacturing company known as Thomas Minton & Sons, 5) Yvotte Fay Minton (1938) who was an Australian born operate singer who did much work in Britain, and 6) Francis John Minton (1917-1957) who was an English painter and illustrator educated in France. The three main devices (symbols) in the Minton blazon are the garb, bar and heraldic tiger. The two main tinctures (colors) are vert and or. The bar is a thin, horizontal stripe across the centre of the shield 9A Glossary of Terms used in British Heraldry, J.H. Parker, Oxford, 1894, Entry:Bar, usually in groups of two or three (any more and there would be confusion with barry, a treatment of horizontal lines of alternating colours). Bars can be a distinctive and easily recognised device, early examples include those awarded by Henry III of England to the family MAUDYT Argent, two bars gules.